This popular and exciting one-way voyage from the bustling metropolis of Palma to the iconic rock of Gibraltar will see you and your fellow crew completing a very respectable offshore voyage of around 500 NM. Heading west,under the guidance of an experienced offshore skipper, the yacht will travel by day and night to give a real experience of being 'on passage'.The yacht will stop to visit a few ports along the way and there will be several 60 mile passages, perfect for the aspiring Yachtmaster's and those wishing to gain sea miles and night hours fast! This voyage provides ample opportunity to experience offshore sailing and all that entails. 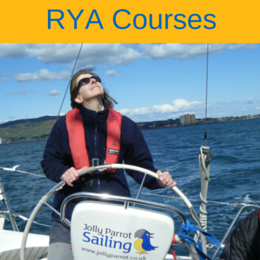 Passage planning, crew management, watch keeping and safety at sea are all brought to the fore! No experience is necessary, just a good team spirit and a sense of adventure! This event will be on one of our larger yachts so if you want to experience the thrill of big boat sailing, this is the trip for you! The start and finish times are a guide only. We are aware that flights can be a bit tricky to fit in with these events so aim to arrive arrive in Palma sometime on Saturday and accommodation will be provided on board on the final Saturday if required. Both Palma airport and Gibraltar airport are a short bus ride or taxi from the location of the yacht. Starts: 16:00 Saturday 20 April & 7 September 2019 in Palma de Mallorca. 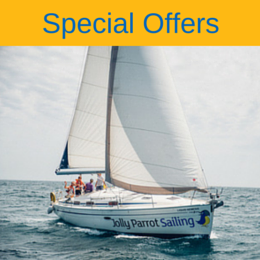 (Real club Nautico de Palma) April event is now £399.00!